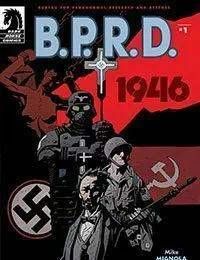 In the wake of the Second World War, Professor Trevor Bruttenholmoccult investigator and guardian of the infant Hellboyfounded the Bureau for Paranormal Research and Defense to investigate and defuse the remains of the Axiss sophisticated occult-warfare projects and potential Soviet threats. Now, outfitted with a small band of war-weary Allied soldiers, Bruttenholm begins to unravel the mystery of the Nazi Occult Bureaus greatest and most threatening initiative: Project Vampir Sturm. **Adventure, horror, and mystery in the finest Hellboy tradition.